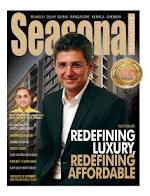 Seasonal Magazine: A2Z IPO - Listing Gains or Long Term Value? A2Z IPO - Listing Gains or Long Term Value? By the close of the second day of A2Z Maintenance & Engineering Services Ltd’s IPO, one thing was clear - the Rakesh Jhunjhunwala effect was overpowering. On these two days when the Sensex lost nearly 700 points, and stocks in A2Z’s prospective listing categories like ‘Engineering’, ‘Power Transmission / Equipment’, and ‘Construction & Contracting - Civil’ got battered badly, A2Z IPO closed somewhat strongly with 81% of its Issue getting subscribed, with heavy oversubscription in the HNI segment of more than 4 times or 400%. Earlier, A2Z had successfully raised Rs. 125 crore from seven anchor investors at Rs. 400, the lower end of the price band. With one more day to go, there is no doubt this is going to be subscribed at least a couple of times over. A2Z, a company promoted by Amit Mittal, a first-generation entrepreneur and IIT-Roorkee trained engineer and former public sector employee, is basically an EPC firm that specializes in providing engineering, procurement, & construction activities for the power sector. As such, its peers in the listed space are Kalpataru Power Transmission (BSE: 522287, NSE: KALPATPOWR), KEC International (BSE: 532714, NSE: KEC), & Jyoti Structures (BSE: 513250, NSE: JYOTISTRUC). The company that started off with unglamorous maintenance works, got its big business break with the PSU Power Grid, and its big investment break when India’s best known investor, Rakesh Jhunjhunwala agreed to fund it. Later, institutional investors like Beacon and Lexington also became key investors in A2Z. 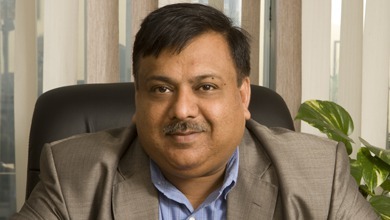 Coming to core performance, the company has an impressive track-record, especially in recent years. For example, between 2007 and 2010, A2Z has grown its sales at an impressive CAGR of over 89% and profits at a CAGR of over 105%. But during the same period, EBITDA margins have not grown much, and margins may continue to be in pressure going forward, considering the growth plateau expected in Indian EPC sector in the coming years. To offset this, A2Z has successfully diversified into other innovative industries like managing Municipal Solid Waste (MSW), and later into small-scale power generation activities using biomass. It is also an early entrant into the business of reducing transmission and distribution losses, where it is a partner of Sterlite Technologies (BSE: 532374, NSE: STRTECH). But apart from the EPC business, most of the later day diversifications are yet to contribute much to the topline yet. Driven by its EPC business, the current order book continues to be strong, at Rs. 1400 crores, with main clients including PSUs like Power Grid (BSE: 532898, NSE: POWERGRID), NTPC (BSE: 532555, NSE: NTPC), and NHPC (BSE: 533098, NSE: NHPC). Whether A2Z IPO, which has an upper price band of Rs. 410, will provide listing gains seems to be a non-issue, as with the possible overall oversubscription to a few times, high HNI interest, high anchor investor interest, and with the Jhunjhunwala tag, it is highly likely to provide some listing gain. But whether the listing gain will be much, or whether the A2Z offer has long-term value depends upon the market condition at listing time, as well as on how the market values it vis-à-vis its peers. At a pre-Issue P/E of over 23 and more than 5.5 times its Net Asset Value per share, A2Z is definitely costlier than Kalpataru, KEC, & Jyoti, which are available at 10-15 P/E and 2-3 P/BV. Since the Issue involves dilution, apart from a part stake-sale by early investors like Rakesh Jhunjhunwala, the actual P/E and P/BV will be even high. In its prospectus, A2Z has also compared itself with the Heavy Engineering major, L&T (BSE: 500510, NSE: LT), and the Electric Equipment major, ABB (BSE: 500002, NSE: ABB). But more than just the favourable valuations compared with these highly-valued companies, it shows the kind of ambition A2Z promoters are having. 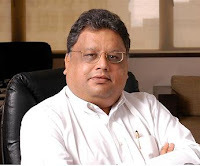 Also comforting to IPO investors will be the fact that Rakesh Jhunjhunwala is divesting just 4% of his stake in the company, with the remaining 96% kept safely for possible upside in the future. Also, his remaining shares will have a one-year lock-in now.